Available for local pick-up in Woburn, MA or direct shipment. 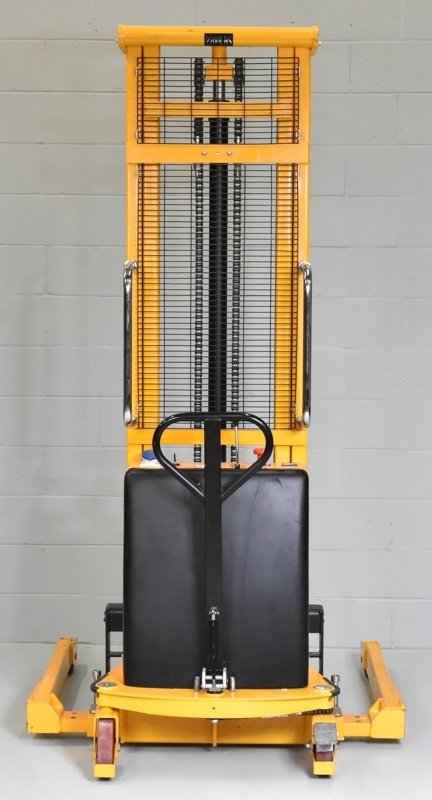 A new unit would sell for $3095.00- SAVE 50% by ordering this used adjustable straddle stacker for sale! 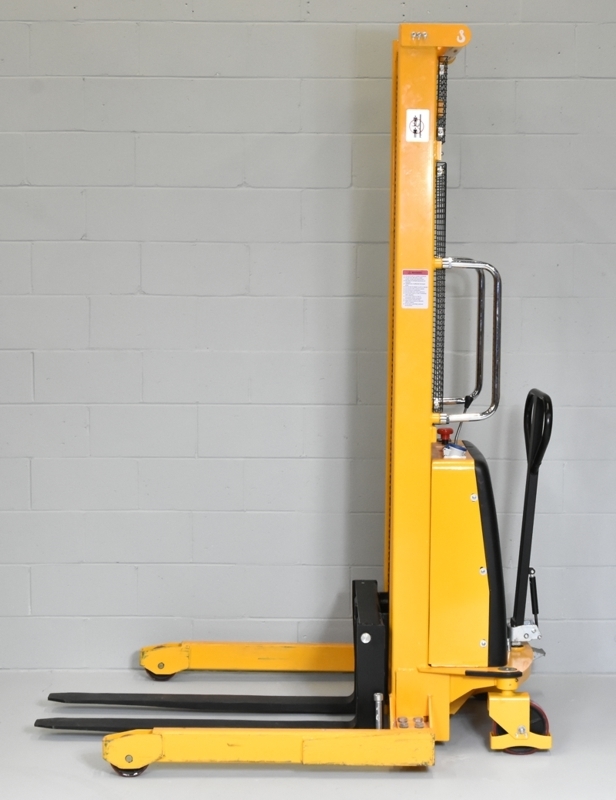 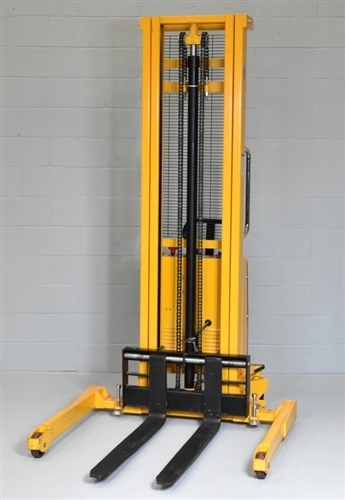 (*) Used electric stacker lift capacity based on 24" load center.